You'll be £12.99 closer to your next £10.00 credit when you purchase No Cloak, No Dagger. What's this? The memoir of SOE agent Benjamin Cowburn is rightly regarded as a classic of wartime literature. 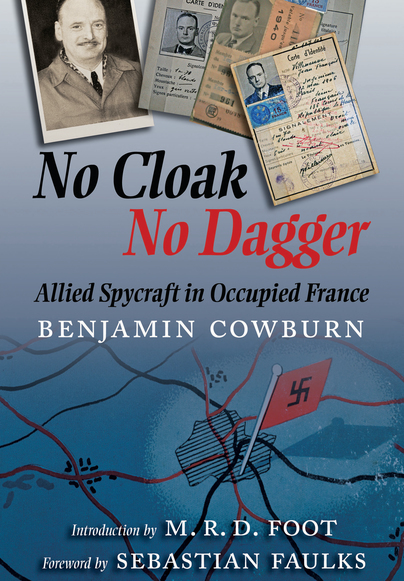 In simple, gripping detail Cowburn explains the methods of special agents who were dropped into France during the war and the ways that agents would set about establishing secure networks with the French Resistance. gives fascinating general lessons in the art of spying from establishing a worthy target to executing an operation, and tells the full story of his own sabotage operations, including the effective destruction of cylinders for thirteen locomotives in the dead of night. As in so many operations, mistakes were made which could have led to numerous arrests. In this case, the details of the operation had accidentally been left on a blackboard in the school where they had planned the raid, but were luckily scrubbed out by the headmaster's wife. On another occasion, Cowburn snuck itching powder into the laundry of Luftwaffe agents to cause a disruption. This new edition contains an Introduction by M.R.D Foot and a Foreword by Sebastian Faulks. A gripping memoir republished for the first time in 50 years.